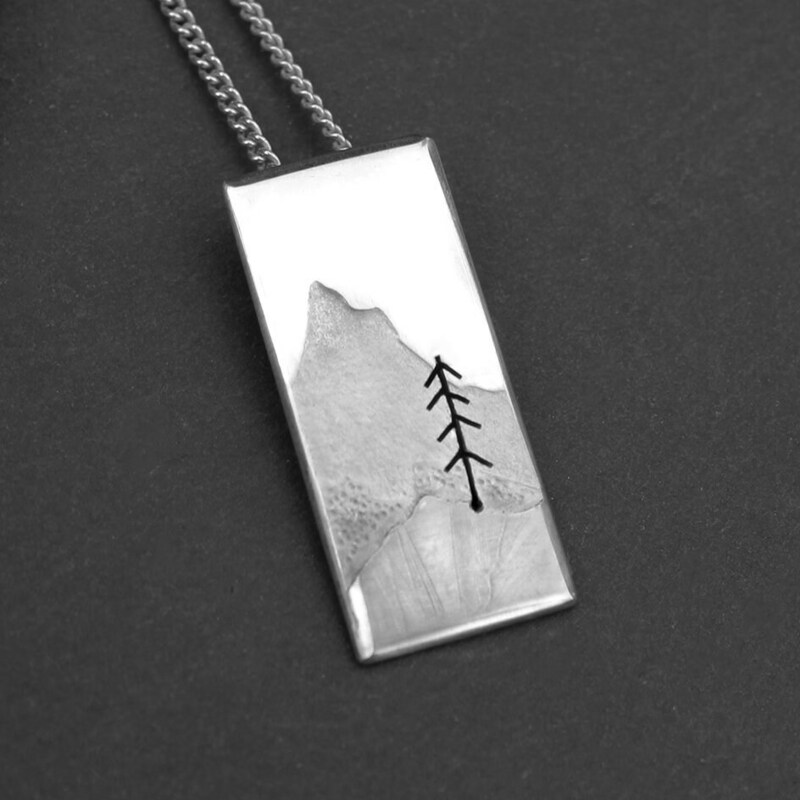 Mountain Pendant, Fir Tree Pendant, Silver Pendant, Silver Jewellery, Silver Jewelry. 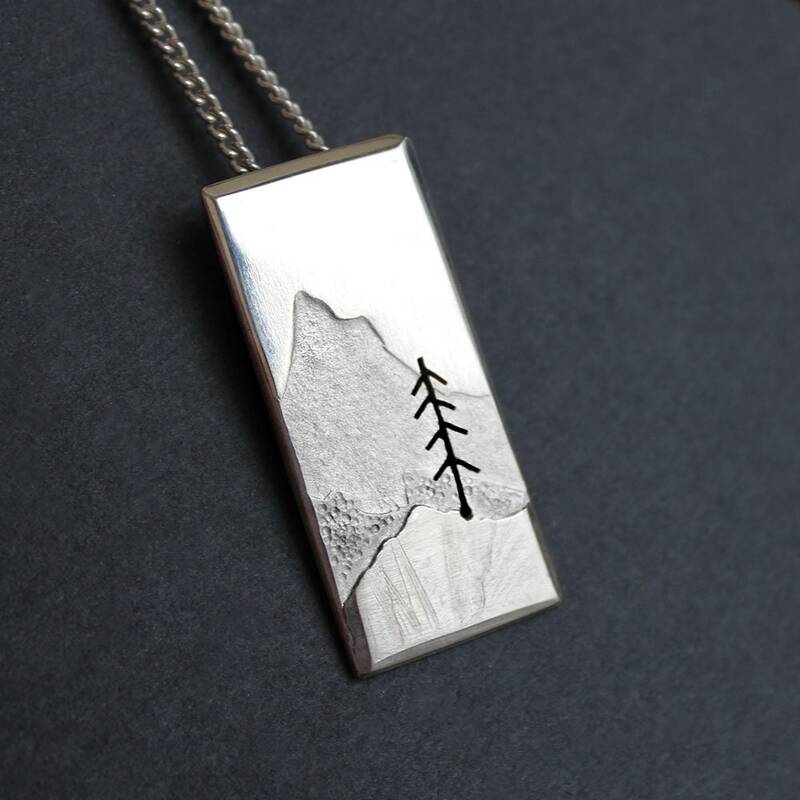 Silver pendant 'Lone Tree in Mountains'. The start of a journey. 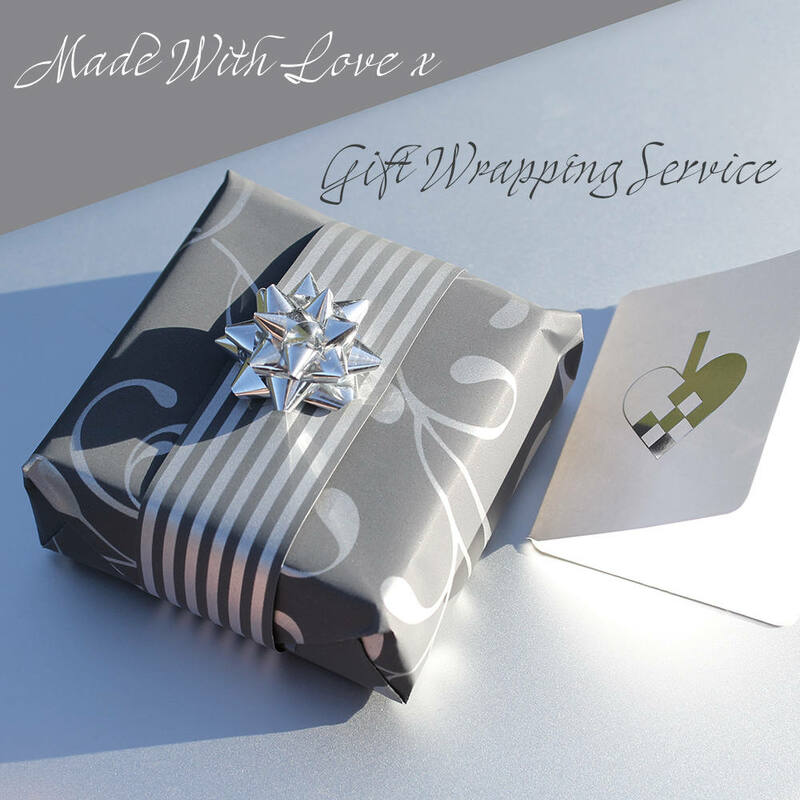 Mountain fir tree in sterling silver. The edges are burnished to catch the light and layers and texture applied for contrasting landscape. 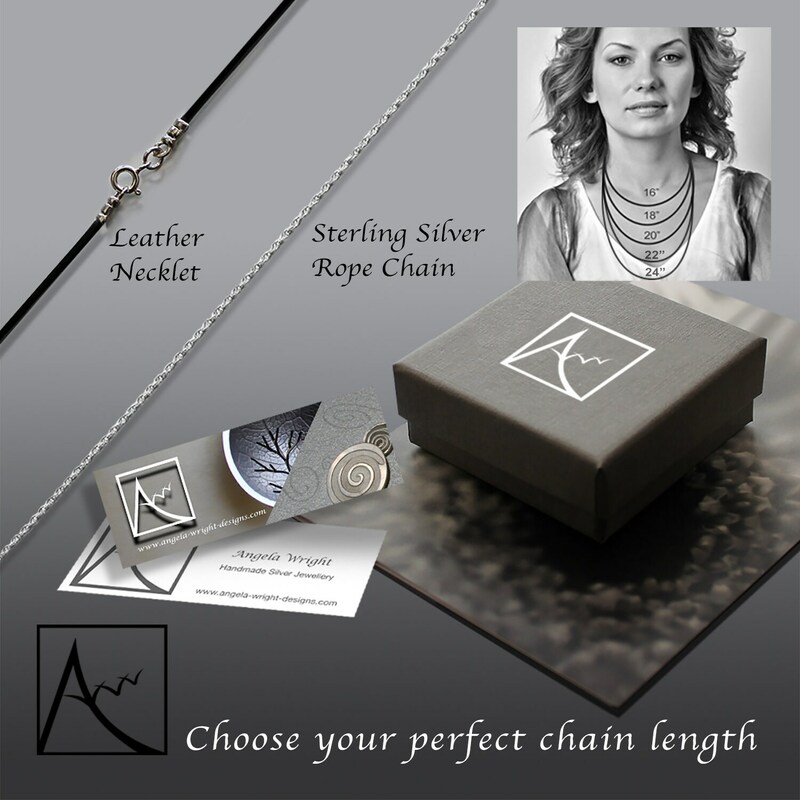 Handmade to order, slight variations make your pendant unique. Using a jewellers bench saw with a very fine blade, I cut out my design. Elegant narrow design. Pendant Measures 3.2cm / 1 1/4" in length and 1.4cm / just over ½" in width. 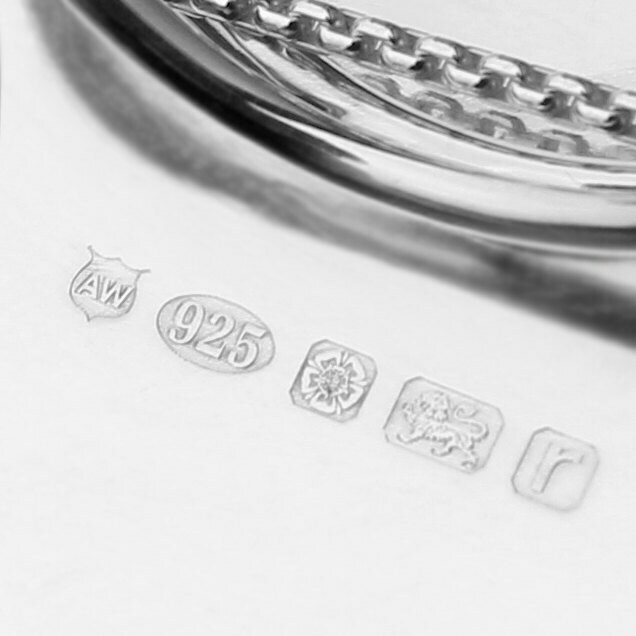 Please allow up to two weeks processing and hallmarking time.